An item of rigid construction, which is a component of the track suspension of track laying vehicles. 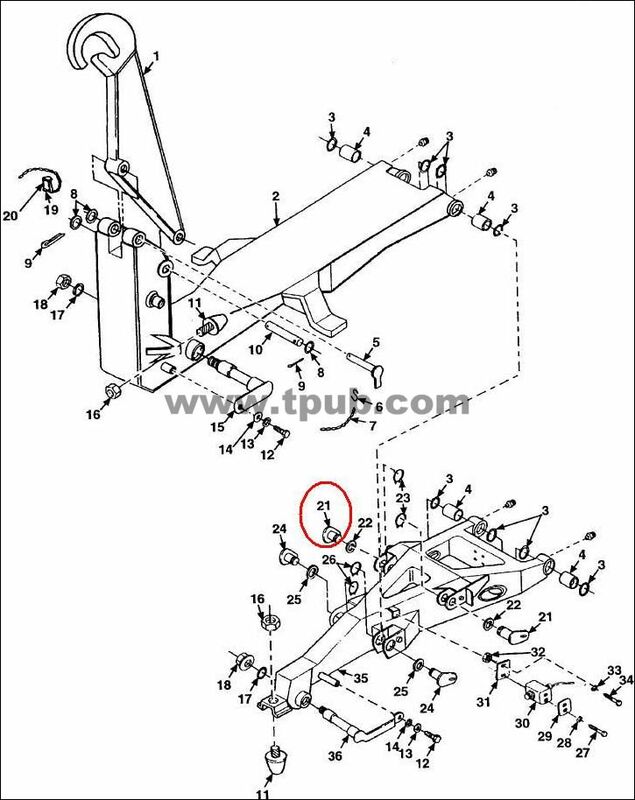 It is specifically designed to pivot at one end and to accommodate a road wheel or a compensating idler wheel on the other, it may have provision for mounting a TORSION BAR, SUSPENSION or other suspension elements at the pivoting axis. It may include spindle(s), bearing(s), hub(s), and the like, and may have provisions for mounting a shock absorber and/or a track tension adjusting link.